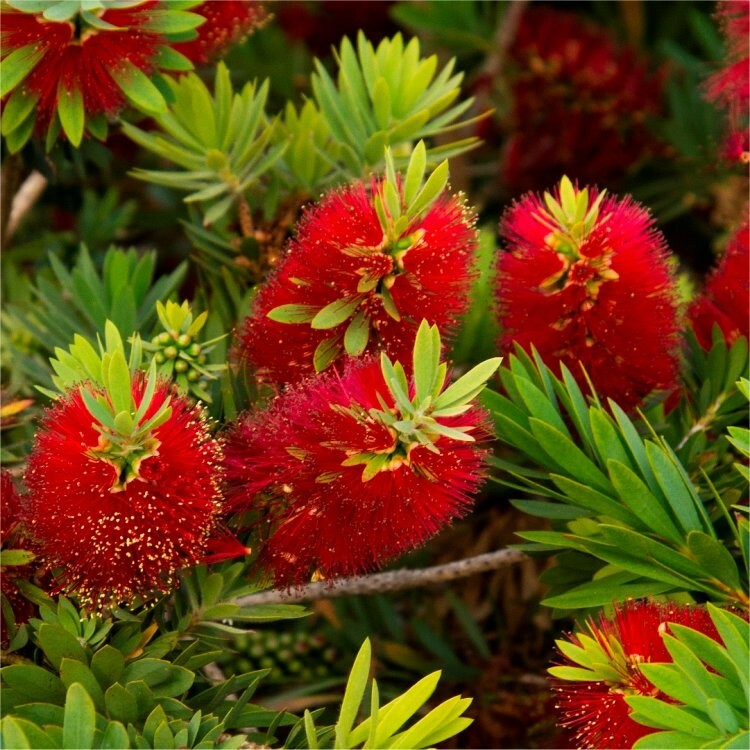 Splendid crimson-red, brush-like flowerspikes borne on in June and July. 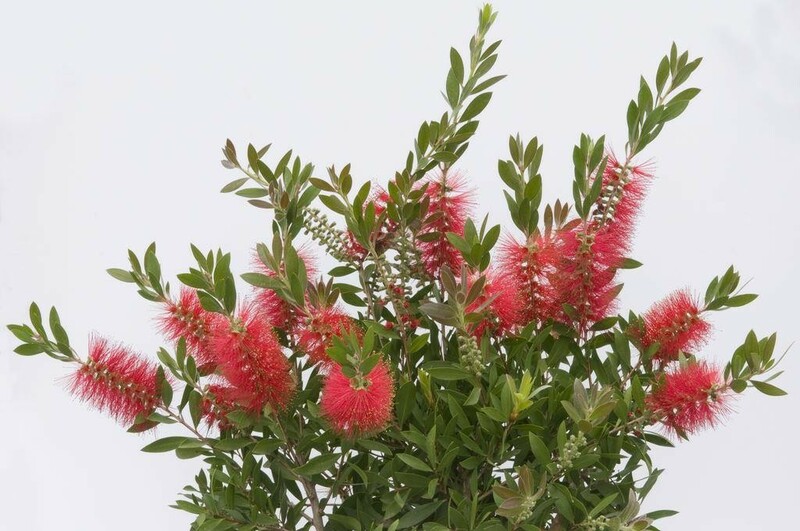 This crimson bottlebrush plant makes an eye-catching specimen for a sunny shrub border with is silky, pinkish-red young shoots which turn dark green with age. The leaves release a delicious lemon scent when crushed. Large, strong flowering sized specimen plants supplied in approx 7.5-10 litre containers at up to around 100-120cms tall. These will bring an instant impact and 'wow' factor when in full bloom.